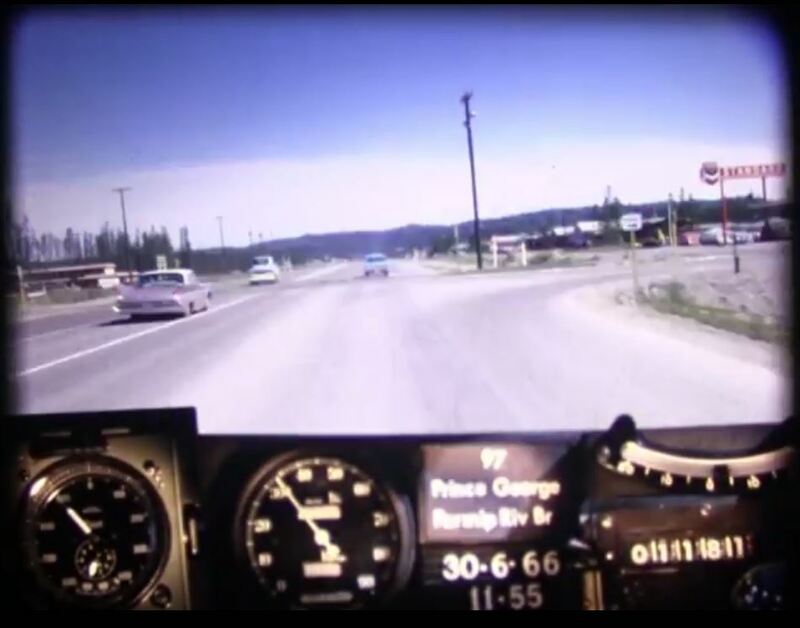 Hop aboard the latest episode of our 1966 road trip series – Highway 97 from Prince George to Dawson Creek. It’s a long ride, so we have broken it into three segments for you to view: from Prince George to Parsnip River Bridge, from Parsnip River Bridge to Chetwynd and from Chetwynd to Dawson Creek. If you’ve been riding along with us, you may have already toured the southern stretch of BC Highway 97, from the U.S. Border to Vernon, as it was in 1966. We have also driven over Vancouver Island’s Malahat Highway and along Highway 1 and the original Port Mann Bridge in our BC Road Trip Time Machine travels. We recorded these nostalgic videos from 16mm photolog film footage taken in 1966, that we extracted from deep in our storage. The photologs were created from still photos, to piece together road condition information from across the province, and enable our engineers to study a stretch of road without having to travel there. So, pop some popcorn, get comfortable and travel back in time. You can also take a break and check out some current travel highlights along this 402-kilometre stretch, should you consider launching from your armchair to do the real trek in the near future.